Voog has been running under your website for a little more than two years now – how would you sum up your experience with us? First of all, we are extremely happy with our website design that was created in collaboration with Tõnu Runnel and Tuumik Stuudio. The feedback from our clients has also been great. In my own opinion, the greatest advantages of Voog are the simple and intuitive management of the website and the ease of adding new content. In order to add new content to our old website, which was created years ago, we needed someone capable of writing HTML code and tons of patience. Actually, back in the day, we used to create our designs also in HTML, and for our first website in 2004 we even created our first and last (to date) puppet animation. Does your website “work” – in the sense that has it generated you some new business? There have been cases of that, but in architecture new business depends first and foremost on your portfolio and on the style that you have established. For example, we have almost never done classical advertising; some in our industry even consider advertising low and bad style. The primary goal for our website is to give an overview of our creative style and work ethics for the potential customer. We are gradually updating the gallery of our works; the gallery works as the first publicity platform, as from the website we share it to different social media platforms. 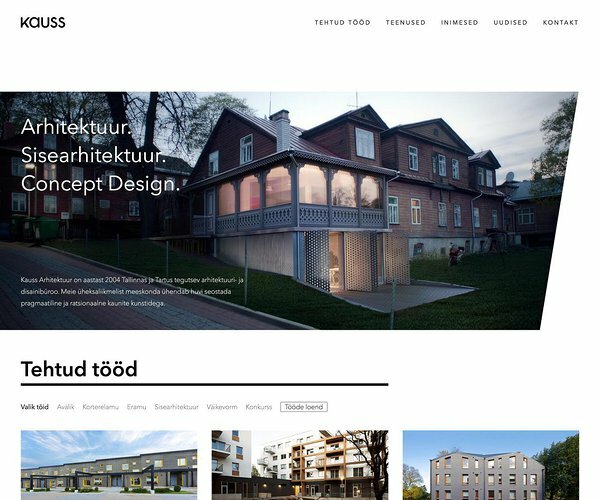 And from social media, people interested in architecture find their way back to our website to see our full portfolio. If you asked me what could you improve on Voog, I would say deeper integration between the Facebook feed and the news section on the website. Right now, whenever I share a piece of news, I pretty much duplicate the content on Facebook and on the website. So, you actually try to bring new visitors to your website from Facebook – do you also use some advanced tools for that (paid advertising, Facebook Pixel, etc.)? I must admit that in reality we are quite lazy when it comes to managing the content on social media – in addition to sharing the most important news and our works, we really don't use any strategic marketing. Sharing the essential is important, but our priorities are elsewhere. Does architecture as an industry have a unique etiquette regarding communicating with the customer – are there certain dos and don'ts? I think that architecture is like any other industry in that sense: there is a great variety of different projects, methods, and specialists. Of course, there are businesses that keep the communication with the client as minimal as possible and get the project done as quickly as possible. If that is the case, it usually means that engrossment is minimal, as is the effort to educate the client. Our approach is the opposite of that. We want to offer convenient and high-quality project management. The duration of a project with us is usually 0,5-1,5 years; our clients treasure analytical and clearly calculated project management, so we do a lot of explaining and educating. The budget of a project is always decisive, but the importance of a personal relationship with the client grows respectively with the budget of a project – the bigger the project, the more important it is to share the same values and mindset. What is the story of KAUSS? In other words, how would you introduce your collective to people who have never heard about you? And as we already touched the subject of values – what are they for you? 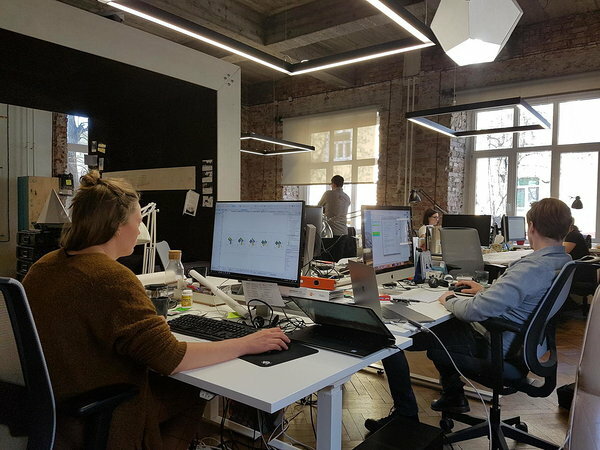 Kauss is an experienced creative collective that values an analytical, pragmatic, and artistic approach – we want for all of our projects to be functional and architecturally intriguing. Our journey has been extremely colourful. Especially in the early years of our venture, there were many episodes that were so crazy that it is not decent to share them here. But, in short, Kauss was created in 2004 by 4th-year students of architecture. The economic growth and the bubble in the building industry enabled us to realize our craziest ideas. We got burned quite a lot but also we got to feel the hypnotizing influence of temporary success. Because we didn't have anyone older or more experienced in our team, we had to reinvent the wheel to set up all the administrative systems that go with running a business. One interesting fact about our core team is that all four shareholders have been on different musical journeys and formed multiple different bands amongst ourselves. Additionally, in my opinion it is quite remarkable that the four shareholders in our creative team have managed to stay together nearly 14 years. Those crazy stories that you mentioned sound like extremely good material for learning a thing or two. So I am tempted to ask if you would maybe share one of them? In the beginning of the 00s there were still quite a few cowboy-capitalist businessmen whose “style of conducting business” was just to impress. Showing off with expensive cars and social status was the everyday reality. The businessmen seemed to have endless pockets, so all we had to do was to draw the most impressive houses we possibly could. It was only later when we started to realize that most of that prosperity was only a bluff. However, as young and naive entrepreneurs, we tried to take in every possible project and see what came of it. We met a number of mysterious businessmen with a Russian background, Japanese investors, and real estate moguls with prison experience. In working with all these interesting characters, I think it’s fair to say that we saw the world through rose-coloured glasses. A lot of sketches that bordered on sci-fi were done during that period. However, thanks to that period, we established a deep understanding of all kinds of human souls. So, maybe the key takeaway could be that you should always try to learn from older colleagues but make decisions with your heart. What does future hold for Kauss – what are your next big goals and dreams? 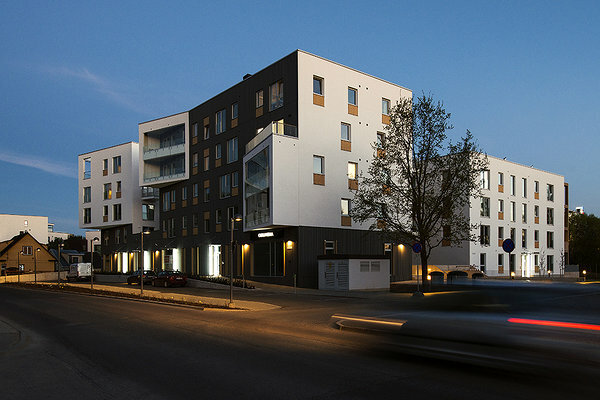 We finished, just recently, a super successful project in the heart of Tartu – the development project Three Brothers. We did the architecture, interior architecture of the hallways, and landscape around the buildings. In addition to that, another of our projects, Palamus' kindergarten, is soon to be finished. We hope that the result will be as good as it was with the Three Brothers. Other than that, we are always seeking new challenges and try to improve various skills across our team. Thus, in the near future we will continue our efforts to make a name for ourselves outside of Estonia. 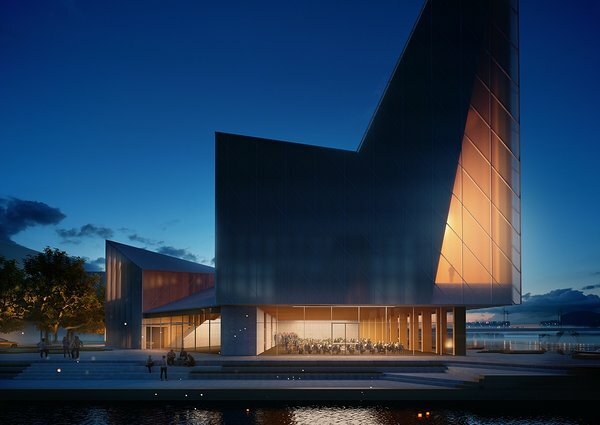 So far we have succeeded in Finland and Denmark – in both we designed a contemporary church building. Soon there will be a third skyscraper in Tartu, practically next to the Three Brothers. 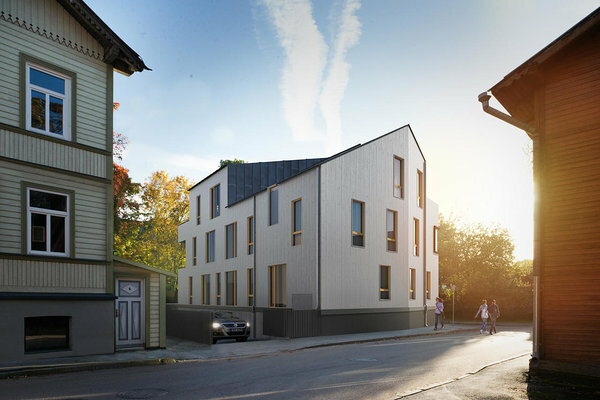 How do you feel about this project and how would you comment on the city planning in Tartu in general? If it were up to you, what would Tartu look like in 20 years? The topic of high-rise buildings, or skyscrapers if you like, is rather sensitive in Tartu and in Estonia more generally. In a country that small, the scale of the idea of a skyscraper is totally unfamiliar and requires extreme disruption of the accustomed mindset. 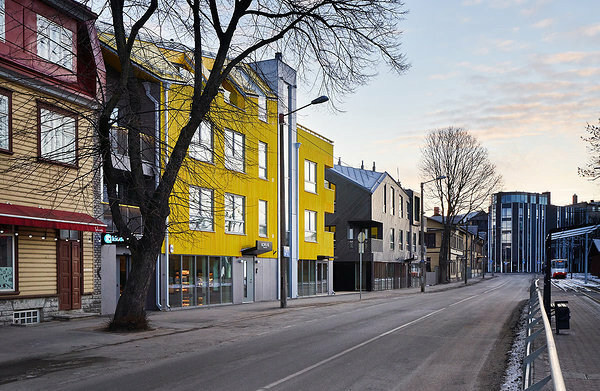 There has been some progress in Tallinn, where the city council has laid out a framework for how and where high-rise buildings should be developed. On the other hand, there is nothing like that in Tartu, and that makes the decision making and processes less transparent. So far, fortunately, there has not been major wrong-doing, but every now and then there is somebody who wants to build a so-called skyscraper, so we never know what the outcome might be. A common framework, in my opinion, would be a good solution in this question to make a social agreement and decide what, where, and how we do things. Tall buildings have always had a place in city spaces; historically, churches are nothing other than high-rises. A high-rise is visible from long distances, which makes it a good reference point for orienteering. In addition to that, they have a sculptural quality that gives an artistic touch to the silhouette of a city. The concrete building we are talking about is far enough from the sensitive city centre and stands between horizontally powerful forms – next to the river and Anne canal – so, there are great preconditions for a great result. 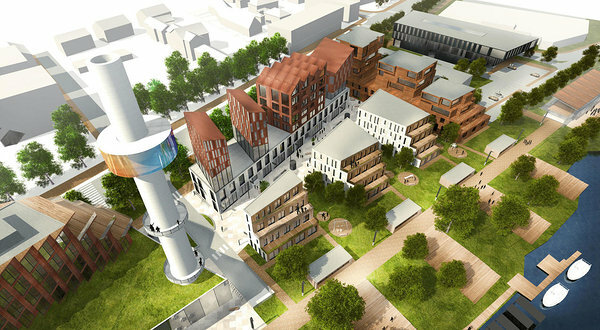 The cityspace in Tartu in 20 years should be even more compact and cosy than it is today. In addition to that, I hope to see that it is more diversified, has more layers, and is generally just exciting – in a word, more humane. It is wrong to think that architects would pour concrete everywhere, a widely spread misconception. In fact, I believe that is important that we preserve the green spaces and natural diversity in Tartu. However, in doing so, I think we should value the quality of the parks and other green spaces over the quantity of them. Having said this, I am aware that there are a lot of smart decisions to be made. In my personal opinion, we should get rid of the ugly Soviet architecture like the ugly Atlantis building. In place of that, I would like to see a contemporary non-privatized cityspace that would tie the historic city centre and the eastern riverbank into an integrated whole. In 20 years, I believe that the riverbanks will be walkable from one end to the other, offering both urban landscape architecture and wild nature. The city harbour block will notably broaden the city centre. This whole area was architecturally ruined during the 90s and 00s, but at least in theory there is great chance that this area will be totally transformed sooner than we think. 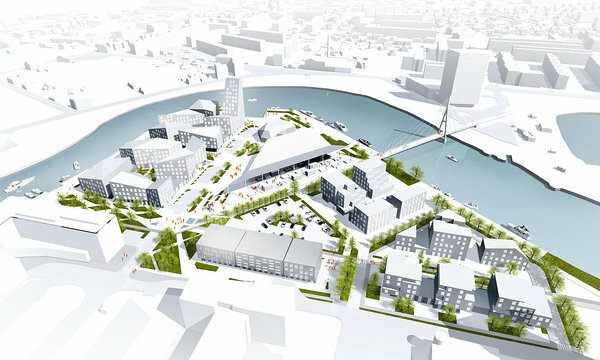 I hope that it will be one of the most exciting parts of our city, with an open market, a theatre next to the river, lots of mini-parks, and with the chance to buy fish straight from the boats docking in the harbour. Where can people find you, both in the online and offline world? We have offices in Tallinn and Tartu, so there is a great chance that you will bump into us on the Tallinn–Tartu train. In addition to all the digital platforms, you can also meet our team on different paths: Kaur Talpseppa at the Tallinn University of Applied Sciences, teaching the next generation of architects; Lauri Eltermaa on Soundcloud, releasing new music; Allan Pilter at one of the table tennis tables in Tallinn that he designed and Urmo Mets at various bookstores, with his book, “Possible houses”. You also might bump into Grete Veskiväli at different exhibitions and Kristiina Aasvee working at different events' light installations.